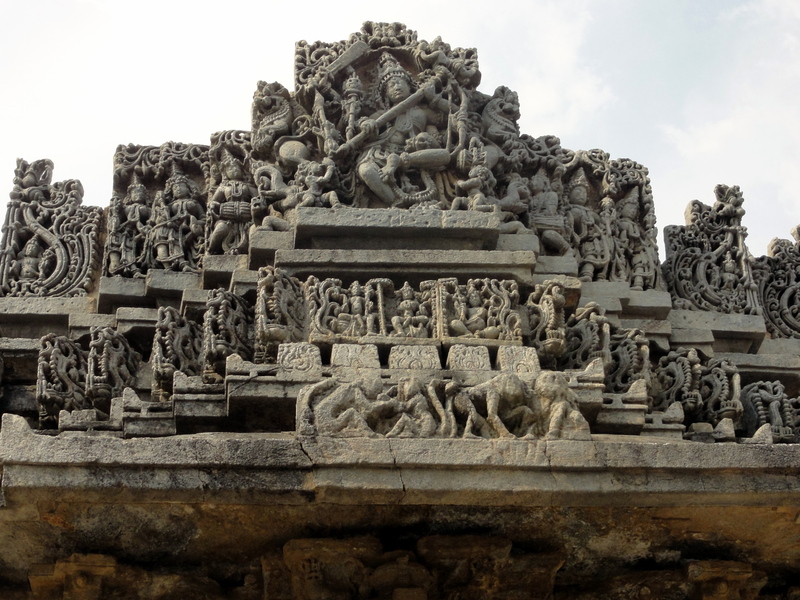 While the magnificence and ornate architecture of the Hoysala temples is, usually, synonomous with the temples of Belur and Halebidu, a visit to the sleepy hamlet of Mosale proved me wrong. 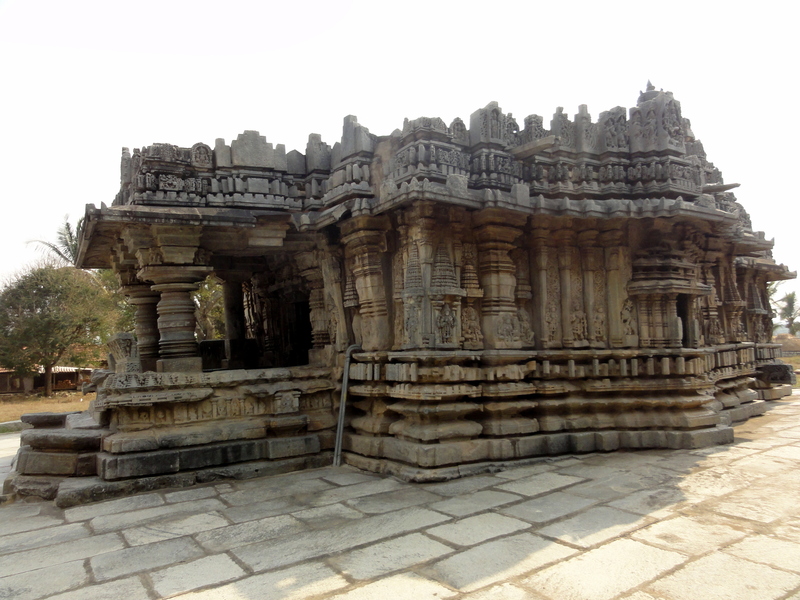 Located just about 15 km from Hassan, on the Hassan-Holenarasipura Road, the twin temples found in this village is a definitely a hidden gem. 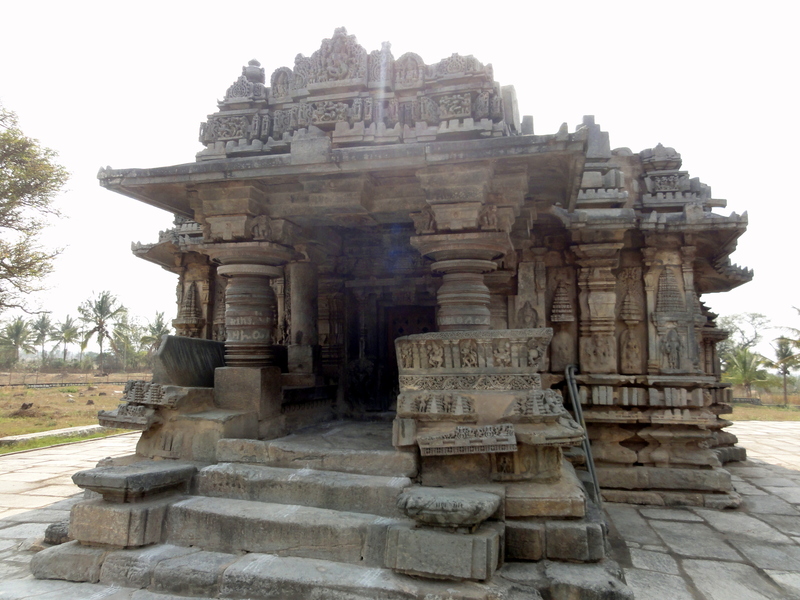 The ancient Nageshvara-Chennakeshava temple located here is a remarkable example of the Hoysala school of Architecture. 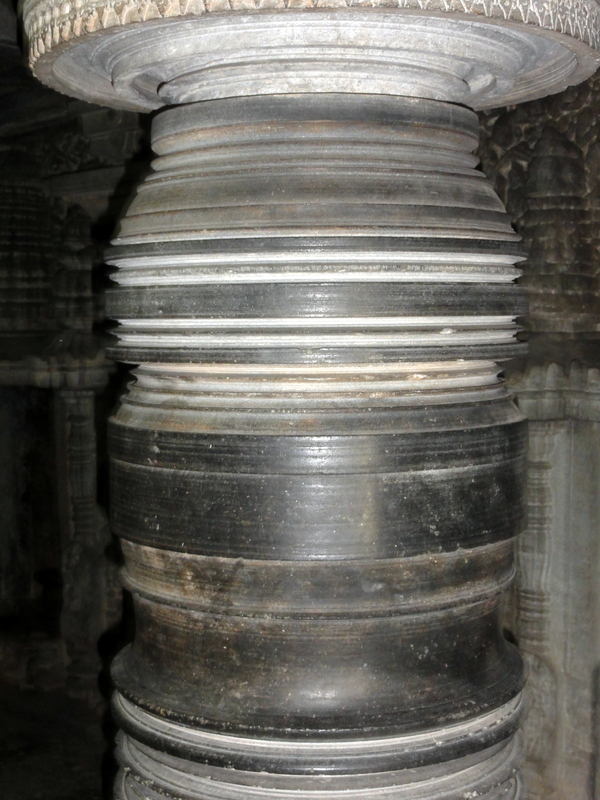 While the actual dates are not known, the temples date back to the 12th or 13th century AD and is a protected monument of national importance by the Archaeological Survey of India. 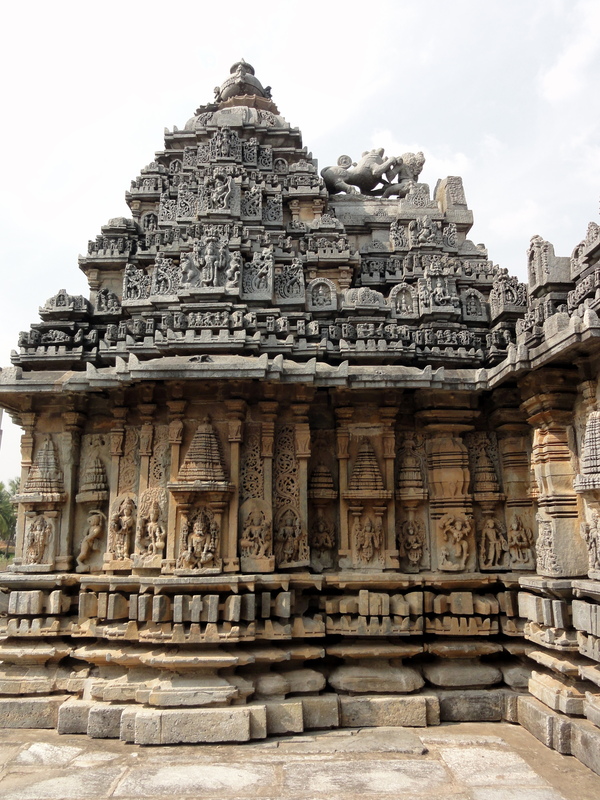 Dedicated to Nageshwara and Chenna Kesava respectively, the temples stand adjacent to each other, just a few feet apart and are almost identical in structure, style and craftsmanship. 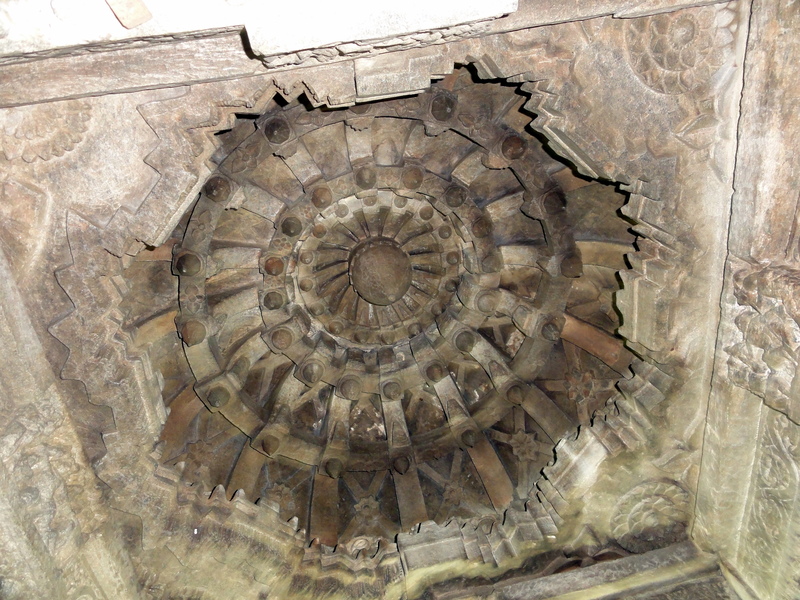 Built using soap stone, both temples have a porch entrance leading to the square enclosure or “mantapa” which in turn leads to the sanctum or ‘garbhagriha‘. 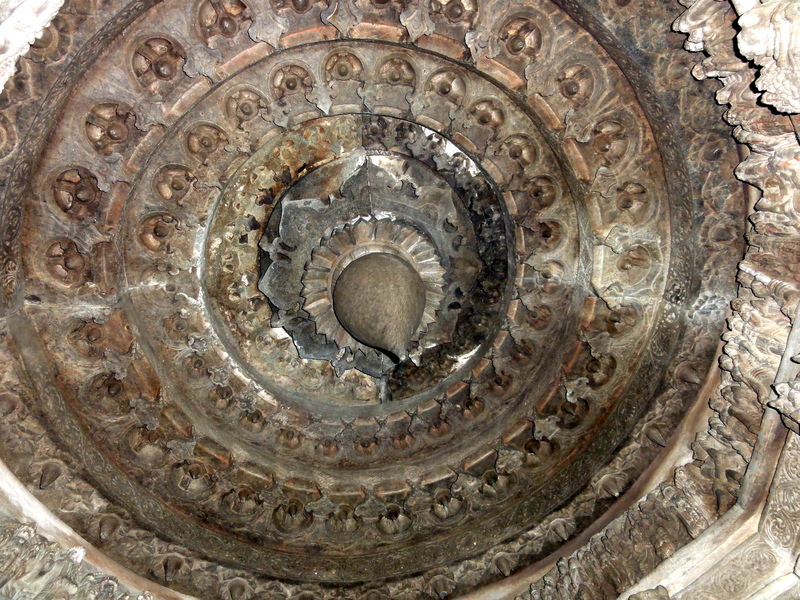 The inner and outer walls as well as ceilings are resplendent with intricate carvings that speak volumes of exquisite craftsmanship of those days. 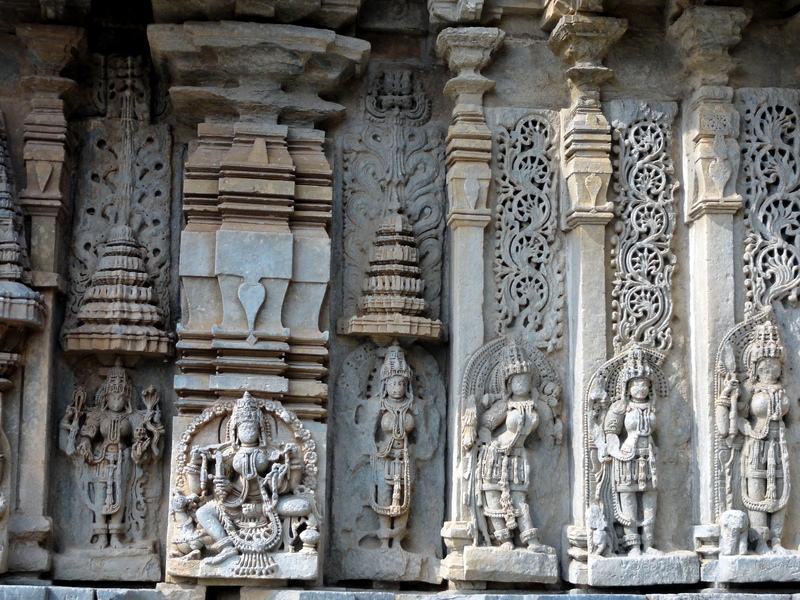 The glorious sculptures and timeless pillars are symbolic of our rich cultural heritage and are truly awe inspiring. If you are in or around Hassan and are a history buff, Mosale is not to be missed! 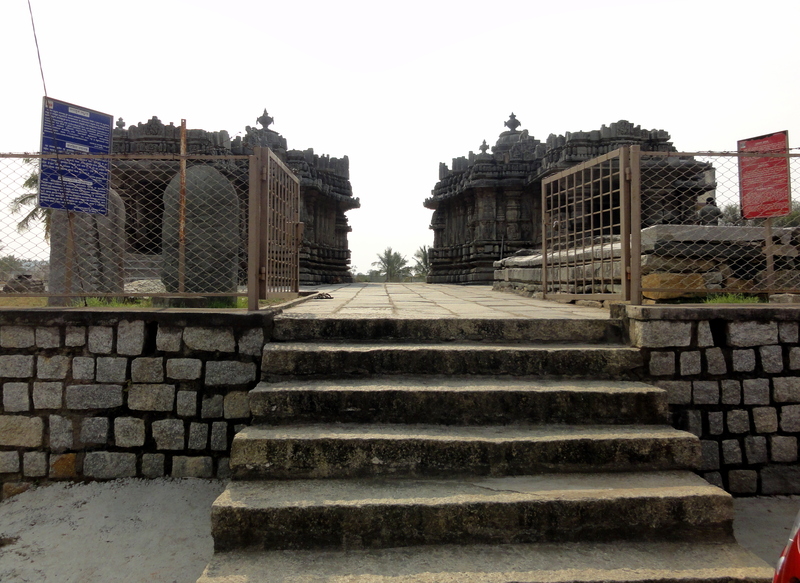 Hassan is about 180 km from Bangalore and easily accessible by road or rail. 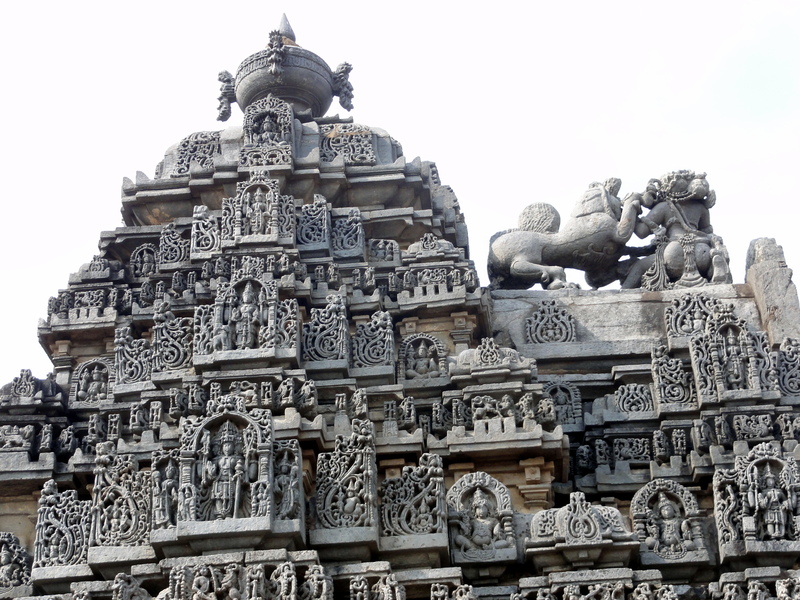 I can’t get over how ornate these temples are. Stunning. Literally I am speechless. This looks so beautiful. I hope to one day visit! Yes it is really splendid! Beautiful architecture. Worth a visit. We went last month, and I liked this place a lot, especially the drive through the fields. Yes Priyanka; we too had a great experience there! In fact my next post about that is almost ready! 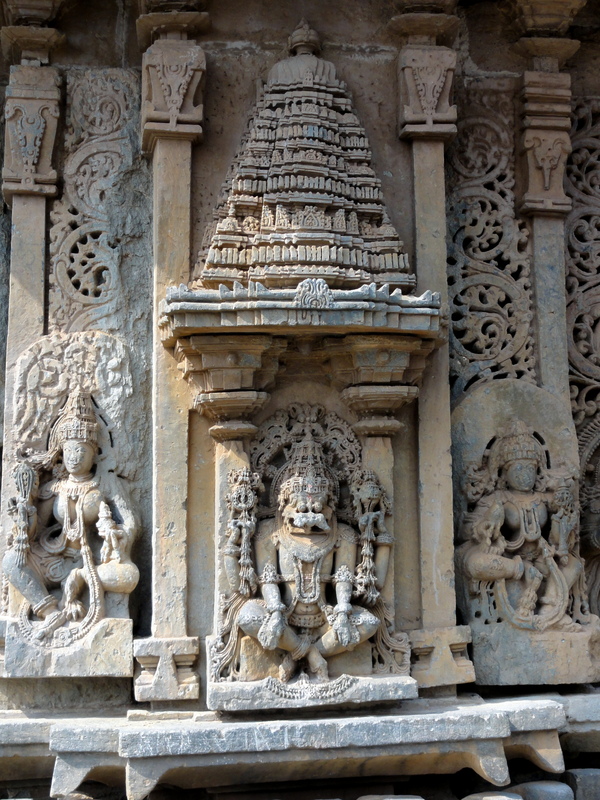 See the beauty of ancient architecture and sculptures…. Its just amazing…pics r beautuful. Appreciate ur interest in visiting to such a beautiful places. Thanks Arun! It is indeed a very beautiful temple. these are the hidden gems 🙂 awesome!